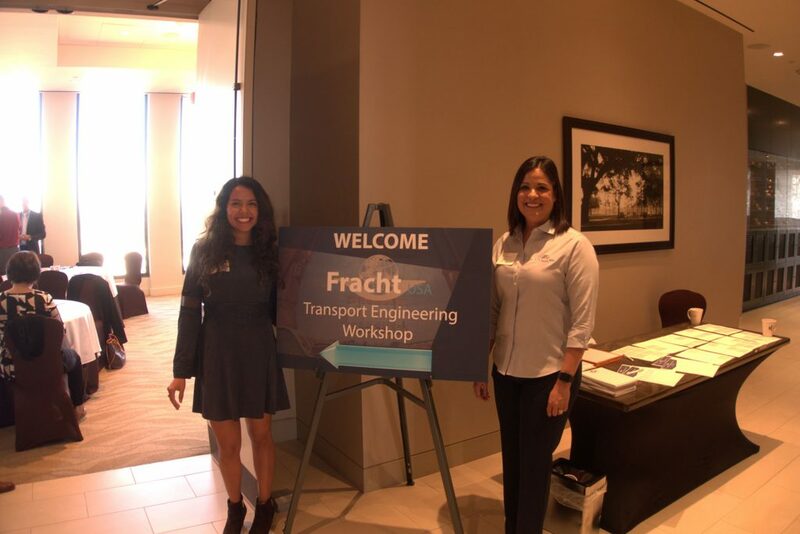 Houston, October 2017- At this years Breakbulk Conference 2017, Fracht USA hosted it’s 2nd Transport Engineering Workshop, this time with a focus on Modular Transportation. Presenters included industry experts Andy Young from Bechtel, Mark Lockwood from Fracht, Toby Allen from ALE, Roberto Frigeni from Roll Group and Vince Schu from Ceres Barge Co.
A key take-away from this workshop is that Fracht’s and its partners’ fresh ideas and out of the box thinking, allow them to meet the ever changing needs of their customers. Francht's Vania Levee and Lupita McGregor welcome guests at this years workshop. logistical execution of over sized modules. Bechtels’ Andy Young, presented their Flex Sim technology to simulate heavy modular projects using Monte Carlo Simulation. It is through this type and other types of technologies that allow companies like these and providers like Fracht, the ability to find the safest and most optimal design for safe transit. 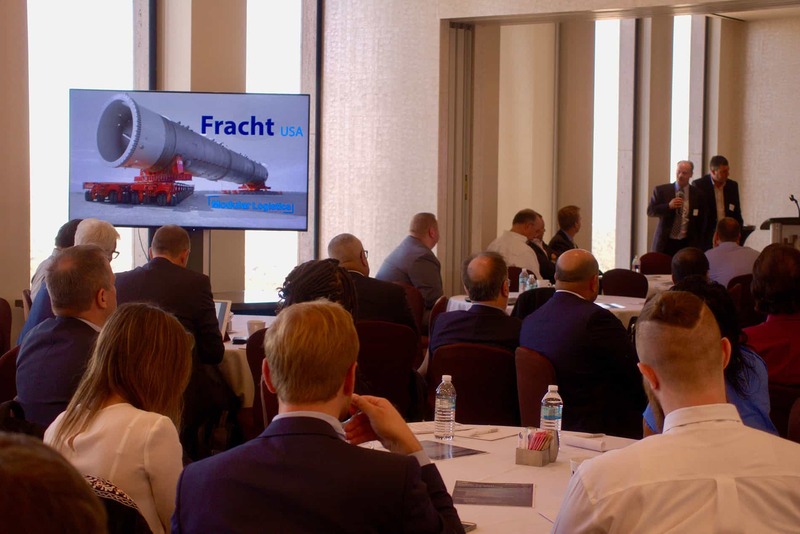 Frachts's Modular Transport Workshop was an exciting event for industry leaders as they sat and listened attentively to industry experts in the freight forwarding business. 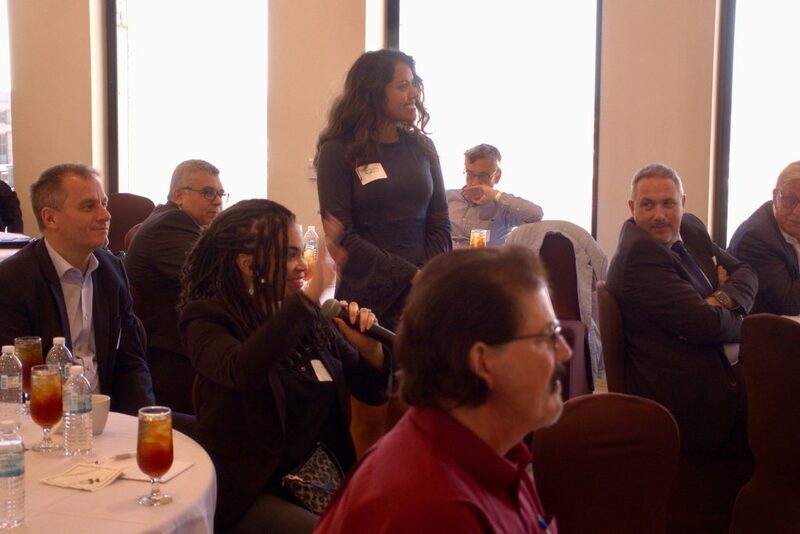 Vogt’s, Valencia Taylor, participating in the Q & A discussion during Vince Schu’s presentation on Barging. Over 80 participants attended this workshop, with logistics specialists from EPC rms such as Fluor, KBR, Bechtel, Chiyoda, CB&I, Linde, Wood Group. 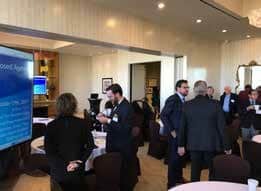 OEM’s such as Siemens, Vogt, Voith, Macchi and more were also part of the list of attendees. Fracht continuously sets the benchmark by hosting seminars like these, which connect professionals in the industry, expand the knowledge and raise industry awareness. The Fracht Team is already working on its 3rd Workshop which will be announced in the next weeks and hosted Q2 of 2018. Congratulations on a successful workshop, many good presentations and useful discussion.